Growing up in Mississippi I’ve experienced my fair share of oppressively hot summers. Air so thick and warm you feel like you can grab a big handful. Before moving to Austin I never imagined that Texas summers could rival that heat, but here we are, late July and dripping in sweat. 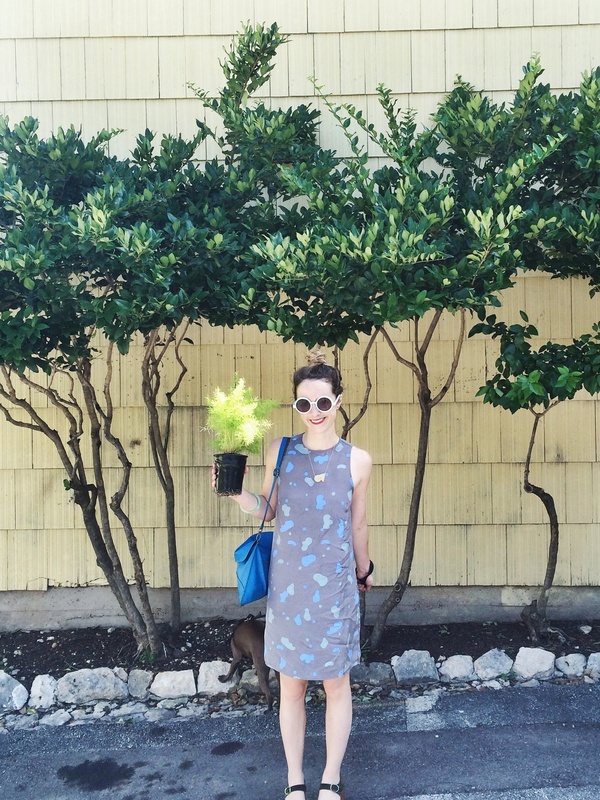 Little tip on what not to do in Austin, late july…Don’t wear a silk sundress to home depot. We went last weekend shopping for plants and other items to spruce up our tiny little front porch. I can’t wait to drinking wine out there on cool fall evenings. In the meantime, you’ll be able to find us hiding away in our air conditioning or somewhere near the water!